In this week’s ETFS Trade idea, we look to the European economic and political outlook for 2018 and highlight potential opportunities as well as some challenges on the horizon. European data continues to paint a picture of an economy on the up, with positive momentum predicted to carry into 2018. Eurozone GDP grew at a rate of 2.7% in 2017 and the outlook remains positive, with the IMF forecasting growth to remain above 2% for at least the next two years. Moreover, while much of the initial impetus had come from the powerhouses of Germany and France, the periphery has now started to follow suit. Labour markets are looking strong, with unemployment across the region continuing to plummet and wage growth picking up. Despite slipping slightly in February, sentiment remains high, with economic and consumer confidence both at levels last seen in 2001. PMI data remains positive and there are signs that excess capacity is shrinking as economic growth gathers pace. In the face of an expanding economy, the monetary policy outlook is surprisingly stable. Monetary stimulus in the form of the ECB’s unprecedented asset-buying programme is likely to remain. Inflationary pressures appear subdued, with CPI falling from 1.5% in November to 1.4% in December, well below the ECB’s target level of 2%. The strength of the euro is also aiding the stimulus impact by reducing inflationary pressure from imported goods. In US dollar terms, the euro has appreciated by over 17% since the start of 2017. In historical terms, the currency is currently sitting close to its long-term average level, and many analysts are predicting further appreciation in 2018. Political risks, so prominent in the European dialogue over the past decade, took a back seat to the improving economy in the second half of 2017. French, Dutch and German elections took place without major incident as the anti-EU populist threat appeared to dissipate. Italian elections last week saw a move away from the establishment parties. Whilst details on policy directions have yet to emerge, the equity markets in Italy and across Europe have reacted positively this week. Other risk events likely to have a bearing on the shape of Europe this year include the ongoing Brexit negotiations and developments in the Catalan push for independence. 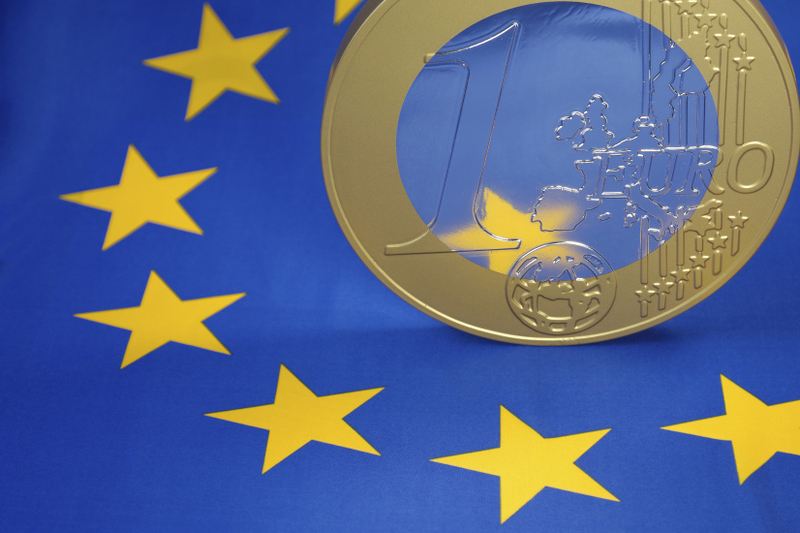 How to invest in the eurozone? ESTX captures the performance of the 50 largest corporations in the eurozone – all significant global players in their fields. ESTX tracks the world’s most widely traded European benchmark index – the EURO STOXX 50 Index. ESTX is unhedged with respect to currency movements; meaning that investors benefit from a strengthening euro or weakening Australian dollar and vice-versa. No UK companies are included in ESTX, making it somewhat Brexit remote compared to other pan-European funds. ESTX is the joint lowest cost Europe-focused ETF on the ASX with an MER of 0.35% p.a. ESTX has Recommended rating by Lonsec.